In the light of the Elite League commissioning a new league trophy, Gary Jackson discussed the reaction to the news and reflects on the history of our own website as it undertakes changes of its own. 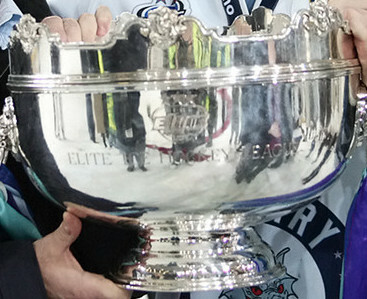 This month the powers that be at EIHL towers announced the dates and format for the Challenge Cup Final, the showcase weekend for EIHL; the final four Playoff weekend, the conference system and, buried within this press release, it was announced that there would be a new trophy up for grabs for the regular season winners. The Montieth Bowl, or “Monty,” as it is affectionately known by fans has been the trophy since the inception of the ISL many years ago. Many Giants fans took to twitter to voice their disgust about the lack of respect the league has shown for this historic trophy, with the general consensus being, if it’s not broke, why fix it? All bar one unique voice in the crowd who was happy to see this change, my own. The EIHL is not the Super League, and as such should be making its own history, its own legacy, promoting its own brand. Frankly this is a change that should have been made 15 or so years ago at the inception of the EIHL. I can see why it wasn’t, a jewlers in Belfast will sell you a Montieth bowl, they have several on display, the cheapest being somewhere in the region of 15,000 quid!!! Make no mistake, in 2004, the league could not have afforded a trophy costing 15 quid let along 1000 times this. The league rose from the ashes of the defunct ISL and filled a top level hockey void for those whose team joined. As the league got over some early hiccups and developed and became more and more secure I guess a new league trophy was low on the list of must haves. A few years back the Challenge Cup was replaced because, officially Nottingham Panthers won it 3 in a row, although its a commonly held fact that it got damaged during the celebrations. There were 2 new trophies bought when the conferences started, and a 3rd when it was split into 3 conferences. 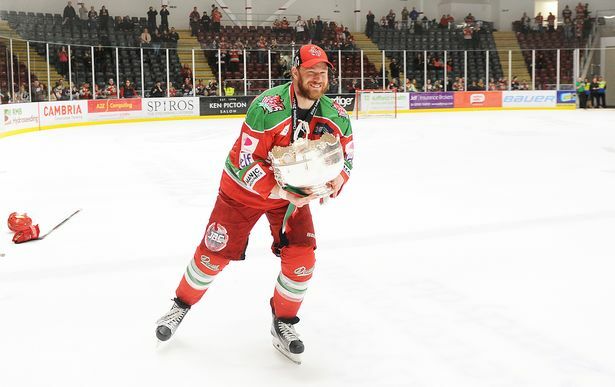 The Ahearne Trophy came and went, as far as i know the only consistent trophy in ice hockey is the trophy awarded at the end of the playoffs. Things change, things move forward. 18 years ago when I attended my first Giants game i knew about 6 people in the crowd of over 7500 people, that number grew over the next load of years thanks in no small part to the original Kingdom of The Giants forum, and all its subsequent incarnations. For those who are new to the party, KOTG started off life as a sub forum of a London Knights fan forum, before moving to a message board style forum and eventually into the stand alone website incorporating the forum, the logo has changed a bit over the years, who remembers the logo i was convinced was Eric Cartman in a Giants jersey? (turns out it was an artist’s impression of what would happen if you added up all the body parts of several original giants!). The Totally Pointless Post Please Disregard? The night before Christmas? The Bridge, or Bridge like Structure? Some lad telling us in July that “Some guy called Theo Fleury is probably going to sign for the Giants in September!” and none of us giving it the time of day? The Side Show? The Canada Day Parties? There are so many memories linked with KOTG, The Giants and the forum. With the introduction of Facebook, traditional forums slowly died away, with people forming online communities on Zuckerbergs platform that they already used to keep track of their mates anyway it made no sense for them to poke each other on facebook, log off, click into a forum to post a reply to a topic their mate who they had just poked minutes earlier had started. Evolution occured and Facebook is now the go to choice for fans wishing to voice their opinion, argue, troll, flirt, get updated on all the biz, ask stupid questions, give sarcastic answers, whatever their heart desires. The Giants experience itself has changed dramatically over the years, in the early days it was customary for McHugh’s to be filled with Giants shirts on a Saturday late afternoon early evening, and after games several made the trip across the foot bridge to McHughes, then the pavillion opened, we had Hard Rock Café, Titanic, Bennetts, Precious, Comedy Club, Rockies. Then the arena opened McCools. The point is nothing stays the same forever. If I take a look at the people I attend games with now, compared to 2, 5, 10, 18 years ago they are all completely different, friendships and relationships change, people get married, get divorced, have kids, move away, fall out of love with the sport, so many reasons for people to drift away from regular attendance, or become entranced with the sport. 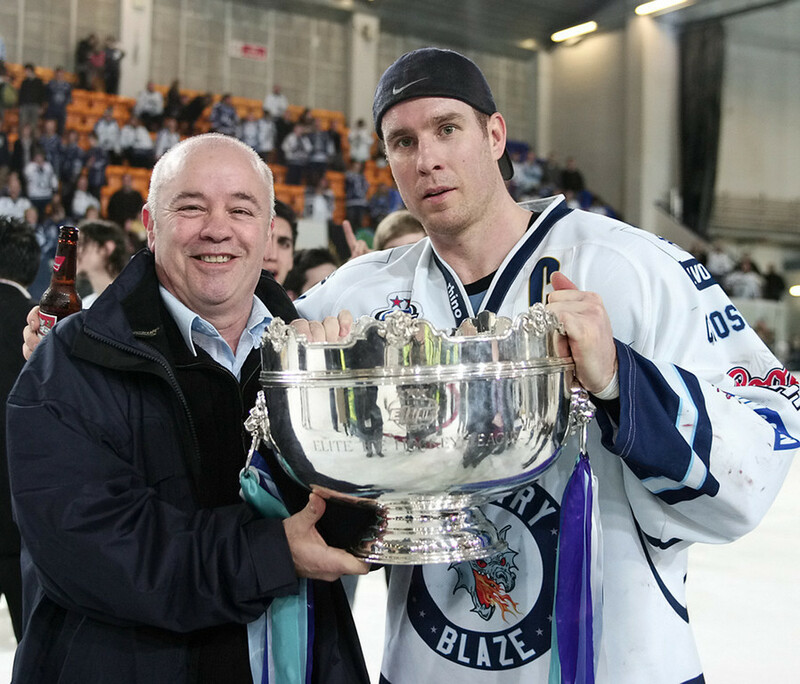 Dont get me wrong, I have some glorious memories with Monty, the first win under Dave Whistle, hitting F5 like a crazy while the team needed a point in Bracknell. The Theo year, when we needed a win at home to Cardiff who were weak, and blew it, resulting in Courtenays epic melt down, A double header at home against the Steelers over St Patricks weekend, we needed 2 points we were nervous as hell until Craig Peacock scored after 5 seconds in the 1st period and we just knew we would never look back. Winning it IN NOTTINGHAM, with a coach, who’s name hangs from their rafters, with possibly the best EIHL team we have ever seen, followed up by Captain Adam Keefe stealing Monty, bringing her to Hooters and passing it around all the fans, remember the Neck Nomination Challenge? When Patrick Smyth nominated me the week previously, i doubt he expected my reply to be taken from the EIHL league trophy! Even some of the near misses, final game of the season we needed Edinburgh to beat the dominating Coventry Blaze, they couldnt do it could they? There was no official out of town scoreboard, i was on the phone to friends in Coventry and Edinburgh scored late in the 3rd to bring it to OT, and held them to penalty shots. I was frantically hand gesturing to Todd Kelman high in his box who was in turn on the phone to someone on or near the players bench, Coventry scored with their last shot to win the shoot out and the league. I have vivid memories of all the Giants history, and vague memories of it all as well, youll often hear me talk about the good auld days if youre ever with me at a game. The truth is they are all good days, nostalgia just lets you look back through Teal Tinted Glasses. Monty, undoubtedly we as fans will miss you, but the eternal chase for you has filled us, fans from all the fans in the league, with joy and heartbreak in equal measure for the last 20 odd years, how many times have you been dropped? How many litres of beer has been drank from you? How many babies photographed cradled inside you? How many gallons of vomit or other bodily fluids are there? How much Silvo has been used to keep you looking fabulous? Monty, enjoy your retirement, you absolutely deserve it and thanks for the memories.